Governor of the Central Bank of Nigeria (CBN), Godwin Emefiele, has predicted that the nation’s external reserves will hit $40bn in 2018. In his address entitled, “Policy Options for Sustaining Nigeria’s Economic Upturn”, Emefiele updated the gathering on the economy, the apex bank’s efforts on the macroeconomic and financial policies, as well as outlook for the coming year. The CBN boss noted that the foreign reserves grew by over $10 billion over the last 12 months, from just over $23 billion in October 2016 to over $33 billion in October 2017. He said, “The accretion in reserves does not only reflect increased inflow but also our shrewd forex demand management strategy. When we introduced a policy restricting 41 items from our forex markets, we were called all manner of names. “Today, among the benefits of that policy is the considerable decline in our import bills. From an average of about $5.5 billion, our monthly import bill has fallen consistently to $2.1 billion in 2016 and $1.9 billion by half year 2017. 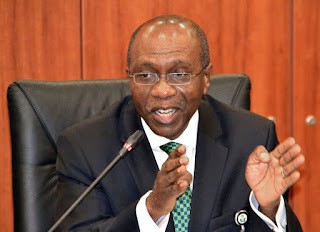 Emefiele also attributed Nigeria’s recent improvement in the ease of doing business indicators, partly to the introduction of the I&E forex window, which, he said, boosted investors’ confidence and eased market sentiments. “The World Bank’s ease of doing business indicator for 2018 showed that Nigeria, with a score of 52.03, improved 24 places to rank 145 out of 190, standing above the regional average score of 50.43 recorded for sub-Saharan Africa. I must note that the CBN efforts reinforced the presidential initiatives to improve ease of doing business in Nigeria. “The establishment, nurturing and administration of the Credit Bureau and the National Collateral Registry contributed in no small measure at improvement of access to credit and enhancing the ease of doing business in Nigeria. In addition, the introduction of the transparent I&E Forex Window, which boosted investors’ confidence and eased market sentiments also buoyed our doing business indicator,” he added.